Welcome to the Prairie States Mushroom Club! Thank you for visiting our site. Visit our Featured Mushroom page to learn more about this mushroom. This site was last edited on: April 14th, 2019 . Check the 'Forays' page for details of upcoming forays. April 20th, 1 pm - 3 pm, Exploring Plants and Mushrooms, Hickory Hill Park (south shelter) Iowa City. May 4th, 9:00 am - noon, Wickiup Learing Center, near Cedar Rapids in Linn County. May 4th, 10:00 am - 1:00 pm, Salsbury Bridge Recreation Area Muscatine Discovery Park, Muscatine County. 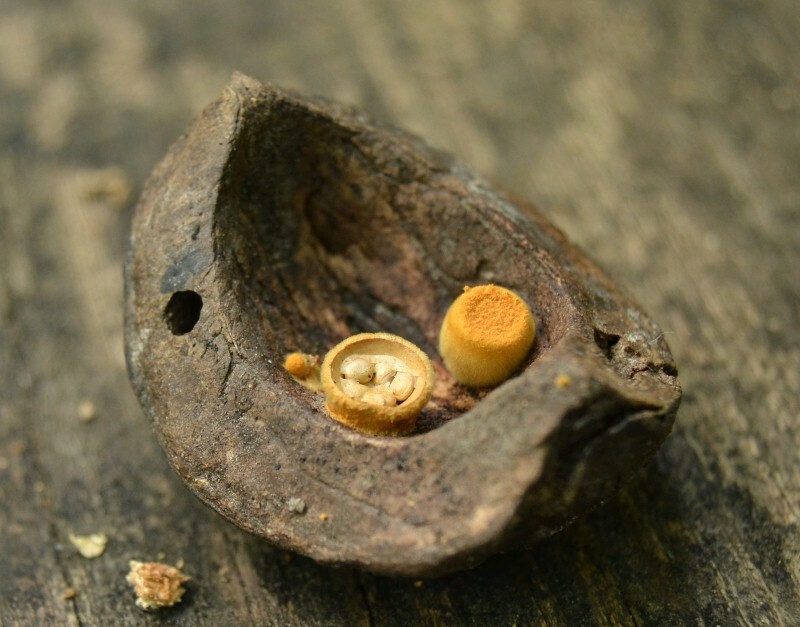 July 20th, 10:00 am - noon, Identifying Iowa's Fungi, Ryerson's Woods, Iowa City. Sept 7th, Rodger's Park, Benton County. Foray times and driving details to be posted soon. Note that there will be more forays scheduled. We have exciting news that we have been working on during the off-season. We are planning to sequence the DNA of up to 100 mushrooms this season with the help of Sarah, a student at U of I. We will be targeting mushrooms found in this area that have never been sequenced before. You can be part of this effort by joining us on forays. Whoo-Hoo! To see a list of the mushrooms we are sequencing, click here. There are HUNDREDS of top quality fungi photos here organized into several galleries. Enjoy!